My Italian man and I went to visit Nonna and Nonno this week. We look forward to going to their place they always have something to show and teach us. We arrived at around 10 am not wanting her to have to put on lunch because we knew she had things to do and didn’t want to keep her. She still said we made her upset not coming for lunch because we were leaving with empty bellies. We went in through the back door, you never go though the front if you are family, its just her way. We were greeted with big hugs, double kisses, sat at the table as she had already starting to make coffee and bring out fruit from the garden and biscuits she had made earlier. She insisted they were not her best but we knew they would be beautiful. They were made with yoghurt, oats, cranberries, coconut and almond meal. They were thick, dense and even great biscuit for an on the go breakfast. She gave us as many as we could eat and some to take home seeing as we weren’t having lunch. After chatting for a while we went into the garden they had lots of excess fruit and veggies they wanted to share. I love walking through their garden it is so well loved and looked after. 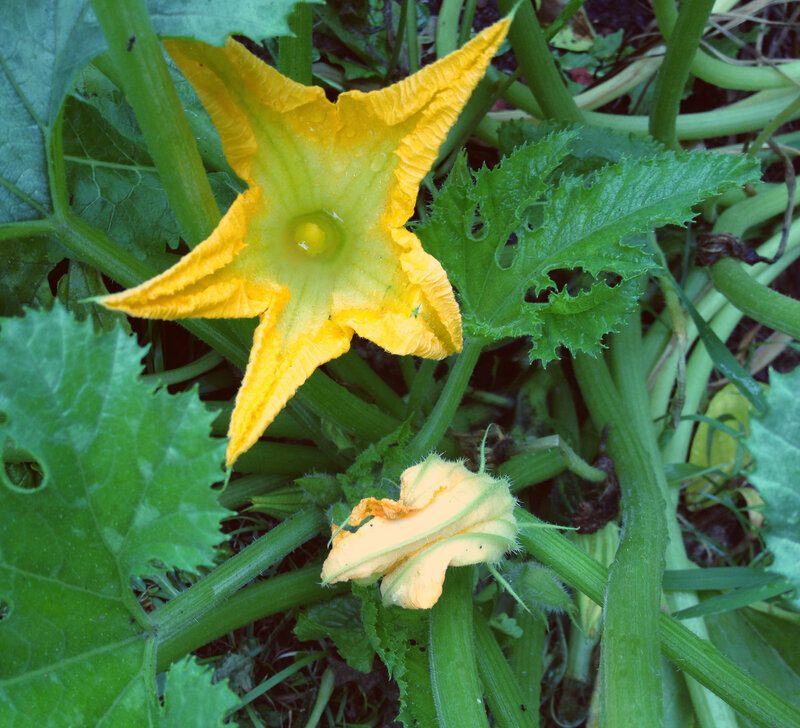 This time I did come across this huge zucchini (courgettes) plant, it had lots flowers growing from it and I asked if she had gotten many from it this season she said yes but these ones coming up were no good. All the flowers were “female” and she said there had been no bees around to pollinate them to give her zucchinis and that they had finished. She then proceeded to tell us a story about the time she went on a bus trip and one of the ladies were complaining about how many flowers she had on her plant but no vegetables. Nonna told her that it sounded like no bees were pollinating the flowers. Her advice was to find the male flowers the one with the stamen and pollinate the female flowers or as she said “help the flower make love” we all laughed and it was even more funny with her Italian accent. She said the bus trip group made jokes with her after that about her Zucchinis being the biggest around. We went home with a bag of goodies from the garden and lots of chillies to make chilli olive oil once we had dried them out. A few helpful words from Nonna on this visit. See if they are useful to you. 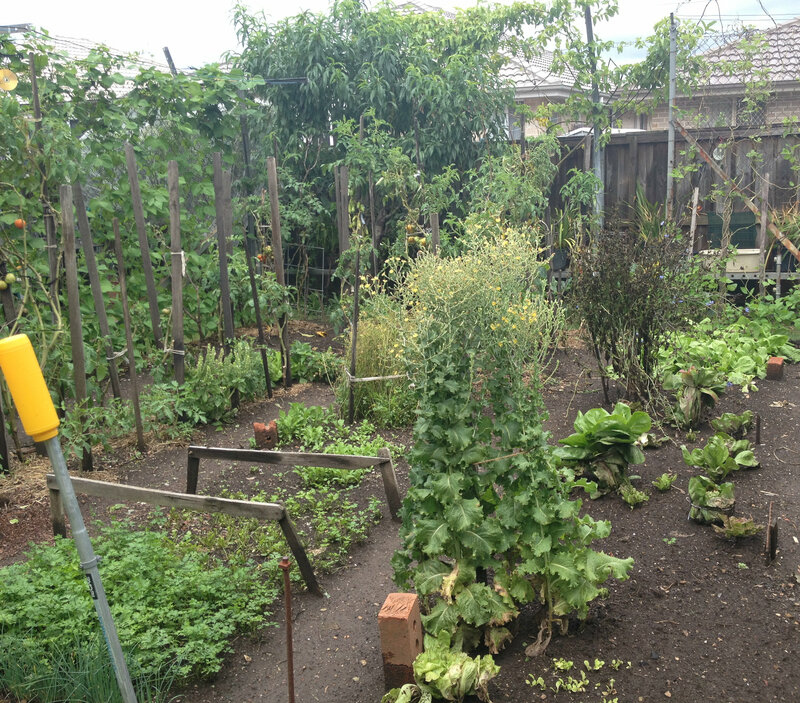 This entry was posted in The Word from Nonna and tagged Fresh, Garden, Home grown, Nonna by wordofthenonna. Bookmark the permalink.